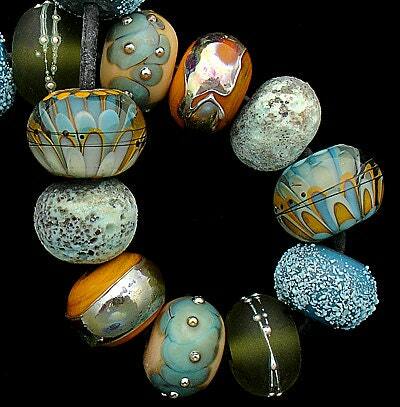 "Crispy Autumn" A beautiful OrGaNiC set of 18 glass beads made in shades of aqua, copper green and cosmos. Measurements are roughly .60" to .65" (16 mm) in diameter for each glass round. Accents include fine stringer work, silver glass and pure silver wire. Keep in mind that this is a made to order set and because so it will be unique but similar to the pictures. Please give me 2-4 weeks to finish your beads. If I need to order any special items for your beads, then that may increase the 2 week time frame. 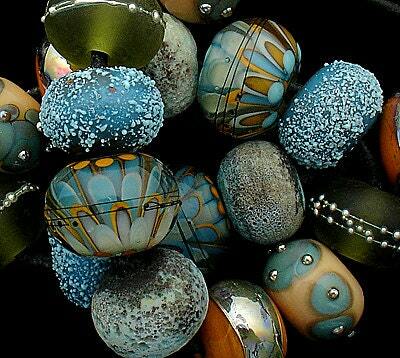 Gorgeous beads - blues, greens, and oranges. I can’t wait to use them! Really beautifully made and seller is very nice and accommodating. 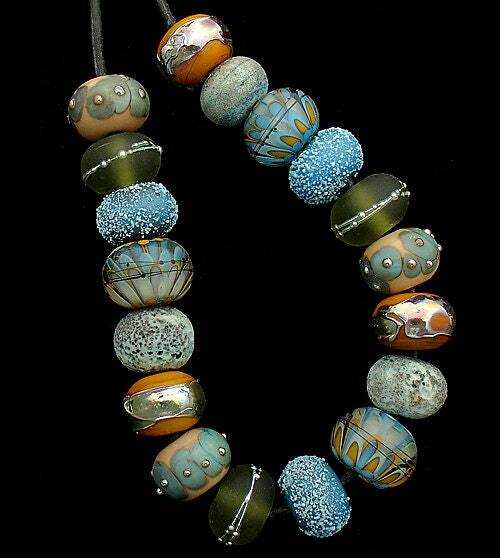 Another awesome set of gorgeous beads complimenting my favorite color, turquoise. Debbie customized the colors to coordinate with a chubby discs set I also ordered. Love, love, love.